Learn about the siege of Masada, the final chapter of the First Jewish Revolt. Download Masada: The Dead Sea’s Desert Fortress and start receiving Bible History Daily — both absolutely free! 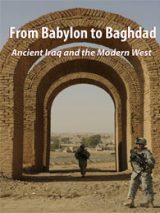 In this free BAS eBook, discover what archaeology reveals about the Jewish rebels’ identity, fortifications and arms before their ultimate sacrifice. Herod’s desert fortress on the mountaintop of Masada has been immortalized as an enduring symbol of Jewish pride and determination. Although the stronghold was built by the megalomaniac King Herod, it was made famous as the site of the last stand between the besieged Jewish rebels and the relentlessly advancing Romans in the First Jewish Revolt in 73/74 A.D.
Having spent months hemming in the rebels and hoisting a siege tower to the top of the mountain, when the Romans finally breached the Jewish defenses, they were met—so the story goes—only with silence. According to first-century Jewish historian Josephus’s account, the rebels chose to commit suicide rather than be captured and enslaved by the Romans. What is the archaeological evidence for the siege of Masada? of Masada holds up to the archaeological evidence. The climactic moment of the Roman siege of Masada, in which the Jewish rebels choose suicide over capture and imprisonment, comes to us from a single ancient source—Josephus. In “Questioning Masada: Where Masada’s Defenders Fell,” Nachman Ben-Yehuda reveals that the only ancient description of the mass suicide at Masada shows signs of having been tampered with—perhaps deliberately. 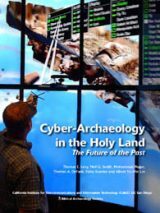 The articles in this eBook are a preview of the many exciting archaeological investigations covered in the pages of Biblical Archaeology Review. We’ll send you a link to download your copy of Masada: The Dead Sea’s Desert Fortress and offer you a FREE registration to the Bible History Daily newsletter, bringing the world of the Bible and archaeology directly to your inbox. Your FREE registration to Bible History Daily introduces you to community discussions on fascinating topics like the Dead Sea Scrolls, top Biblical archaeology discoveries, ancient Israel and Easter. Thank you for reaching out. I’ve been a reader of BAR since the 1980’s. My favorite regular feature is your Letters Column.Topics that may be intrinsically controversial make finding reliable information difficult. Your magazines have proved to be generally accurate and when not, lead to reasoned-if often heated- responses and criticism. Your delightful gifts of these e books are much appreciated. This is regarding William’s earlier question and Robin’s response: The tale of Masada is not found in the Bible, but it is also not found in the Dead Sea Scrolls. It’s found in the writings of Josephus. Massada’s defenders are glorified as the last freedom heroes of a proud country, fighting for independence. The entire uprising against the Roman Empire was irresponsible, led tens of thousands to perish. Massada rebels had been among the worst. Attacking the neighboring settlement Ein Guedi, killing 700 of their “fellow Jews” is rarely mentioned, in order to to tarnish the “heroic” myth. Both “biblical” and “archaeology” are terms that refer to specific disciplines. We find various writings referred to as biblical. And archaeology refers to finding and interpreting the significance of oandoften piecemeal very ancient items. The land of North America was inhabited by aboriginal communities whose worship systems had no relation to christianity. Nor were these native peoples of a white european type. Though this revelation is understandingly disturbing to the Jewish people there is nothing, nothing more important than truth. Jesus. A practicing Jew taught us “The truth will make you free”. We all have to learn that….not easy ! Thou shalt not force, thou shalt not torture any creature, Webster did his works going to places, for new words and meanings of such. I’m sure he had to work to surive and maybe had a family to support. He wrote the first dictionary on his on works and yes I’ll bet he used the kings version of the bible. This bible caused much harm and caused much good.The English speaking people will be ready for when Jesus makes his return. Some of the best things about dictionarys and bilbles, is poems for talents and songs for talents, the arts from the past of all the ages, as we grow and know. I’ve learned through life, that all creatures, have feelinigs in the past and through to the now. We already have proof of much, it is known through scientific equipment that shows a strange light, known as an aura, an energy field that is held to emanate from a living being. I remember reading a book about a man who could actually see this strange light and learned that when it was off color from a healthy person, I think his is name is Casey, he would suggest that they see a doctor. It was a long time ago, I’m 66 now and my memory is failing me. It also known though scientific equipment that has proven a sudden lose of weight at the moment of death. It would be good works of research or hobby to investigate these things. All this is the laying on of many hands Jesus said this would always be to reach the now, that we are at. I wish and hope you gain self repect for ones self, not only the monies made for works and givings for good causes.But also the progress, that should be realized as rewards of our civilization, it is a good thing to compliment friends and relatives. It is great to have a good character, it is great to be persistent in reasoning with other nations for a variety of reasons. Only our government has the capiblities to watch and put pressures that will threaten and force other nations to comply with saving this earth and world, that Jesus hoped for. Freedoms and freewill for other peoples, is of utmost importance. We are a Christian nation. I’ve have known that in the past horses would run as fast and long knowing they where about to die, they would make a decision to stop are lay down. I know they sacrificed themselves, not for master, but for unconditional love for humans. even on you tube, you can see smaller animals, attacking much more vicious animals at attacking another animal. Like the cat attacking a pitbull attacking a small child on a small bicycle which had falling down. I am sure that God has an ark or paradise for all creation. Jesus said that he was yesterday, today and tomorrow. He also said he is a good shepherd, he said his words will be like chaff in the wind. Jesus told his disciples not to write, but they did write letters to each other after Jesus told them to go out into other places in twos. they did write to each other and the letters where collected and that became the first bible. Later gator, I’m old and tired and going to bed. I’m sure you will find a lot of grammer mistakes and spelling mistakes. You think that you will have a free ride? Nope, we are attianing knowledge from the beginning to the now.Building a history, for all as a humanity, and creatures from past to the now. Many have jobs and rewarded with thier works, freewill is high on the list of human self- rights for fun and pleasure, these rights re-think about what Jesus said in his time, about gird thy loins with righteous. Yes I know the bible says righeousness, but the meaning has changed. Proof you ask? Jesus said his words will be like chaff in the wind. Would prefer a real book. The books to be included in the Bible were chosen at the Council of Nicea about 325 AD. William you are correct. This is not in the bible . Thanks for this book and all that is in it. It would be great to have it translated into other languages. I know many people who would love greatly to read it in Spanish. Does anybody have any photographs or maps of the other ten Herodian (fortified palaces built by Herod the Great? 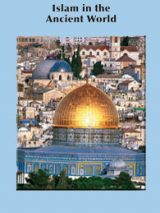 I was wondering if there might be unexcivated sites important to 1st century BCE Jewish history. Did archaeologists find anything interesting at Macherhas on the East side of the Dead Sea? I read some where that in the 1920’s some one found a cave full of mummies in Northern Saudi Arabia associates with where the Edomites may have lived. The story of Masada has intrigued me for many, many years. At 78, I doubt I’ll ever get to see it in person, but I enjoy reading about it and seeing photos. I was in @ 2nd grade, getting my first Bible when the Dead Sea scrolls became public, and they too, fascinate me. What a tragedy so many were lost. My wife and I recently toured Masada. I remember telling our guide that the “ramp” did not appear to be man made. Of course, that was rebuked by the guide and he asked me if I was a scholar or writer. I am neither. 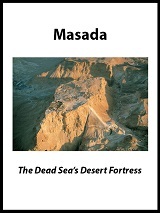 Thanks for the e-book on Masada. It helps clear the mind on this site. 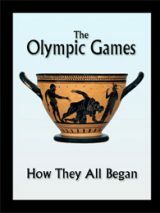 People should read books of Mr. Nick Bunick at: nickbunick .com His books are of much importance in study of the Bible.